The morning will begin with an introduction to the many helpful features of the iPad and an overview of how the iPad and iPhone can be used to help children and adults with communication and learning challenges. During the workshop, Joan will demonstrate many helpful features of iDevices and her top app picks for helping others to have fun while maximizing learning and quality of life. A wide variety of Innovative Technology Treatment Solutions will be presented. The day will include strategies and suggestions for approaches to improve speaking, understanding, reading, writing, thinking, remembering, socializing, organizing and learning. Participants will be encouraged to actively collaborate throughout the day. A limited number of professional, graduate student and family scholarships are available. Contact Joan@innovativespeech.com for for scholarship application information. I have been speaking quite a bit to private therapy practices, SLP associations, schools, hospitals and families about the iPad. I have added it to my frequently used collection of “technology tools” and bring it out with just about all of my clients in addition to a laptop computer and online interactive sites. Once you take the plunge and shell out a considerable amount of money to purchase an iPad- the challenge becomes how to use it. What is all the hype about? Was it worth the investment? There are currently hundreds of thousands of apps. Which are best for you and your situation? 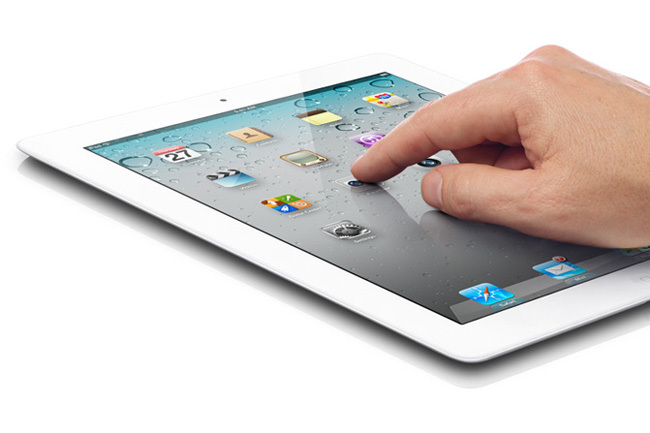 How should you configure you iPad and what is the best way to do it? I help individuals and organizations, in person as well as online, learn about strategies and apps that are most appropriate for their situation- but I also strive to teach people how to continue this learning process since new apps and features are coming out every day. There are also many ways to use the iPad to help individuals who have communication, cognitive and learning challenges. The calendar, cameras, online access and features such as the contact list can be very helpful. In my newsletters (which are free and you can sign up to receive them at www.innovativespeech.com), I write about some of my top picks for apps which are the best value for a wide range of people as well as my top picks for individuals with specific challenges . 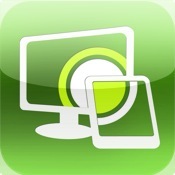 I have only skimmed the surface with regard to helpful ways the iDevices can help people. Many people ask me what I do to learn about the apps. How do I keep up with it all? I subscribe to many listserves, blogs, and newsletters. I also connect online with Facebook and LinkedIn Groups. I probably spend at least 5-10 hours a week trying out new technologies/apps. As I prepare for new clients or to give a presentation- I make sure I am up to date on the latest technologies.To me it is fun- I really enjoy it. Finding tools to help others improve their lives is one of the activities I most enjoy about being a speech- language pathologist. I want to empower people to help themselves. Here are a few of my favorite online resources which review apps that are helpful for individuals with communication, cognitive and literacy challenges. Check them out and let me know what you think…. these sites tend to be well organized and updated. They each have a different focus and are written by individuals or organizations with different sets of experiences, strengths and professions. Some are produced by parents, some by SLPs or teachers and some by organizations. I’d love to hear from you at Joan@innovativespeech.com which sites you find most helpful. I will try my best to add to this list as appropriate. Although the lists and blogs mentioned below are extremely helpful, it can be overwhelming. If you would like a personalized in-person session in the Washington, DC area, an online coaching sessions anywhere on the globe or to find out about upcoming workshops and webinars- please send an email to jgreenslp@gmail.com, make a reservation at ist.ticketleap.com or go to www.innovativespeech.com for more information. Reviews- On the iTunes store there are often helpful reviews and ratings shared by users of the app that can shed unique insights on how they use the app. I also often do a Google search for reviews of the app. Company Website-Most app pages include a link to the developer’s website. Check it out. Some have reviews on their site and provide instructions and videos on their site or linke to You Tube demo or instructional videos. Free and Lite Version– Many of the more expensive apps offer limited versions of their product which are a great way to find out if the app is a good match for your situation. Sometimes the difference is that here are no advertisements or requests for in app purchases. Intended Use- Some apps are produced solely for entertainment and reinforcement, some to improve specific behaviors and some to compensate for areas of weakness. There are apps that are more appropriate for children and others for adults. Some apps are best used by professionals and others are fine for the individuals with the impairments to use on their own. I have found that how I use the app with a client is often at least as important as the quality of the app itself. I spend a great deal of time trying out new Apple apps- and currently have over 900. It’s hard to believe that iTunes currently features over 425,000 apps. There are very few apps which are created specifically to help adults who have aphasia. Tactus Therapy Solutions has recently released two which are wonderful! I find myself using them daily in therapy with adults as well as children who have a wide variety of language and learning challenges. They are a great extension to traditional speech therapy techniques and make it much easier for families to practice at home with guidance about the most appropriate way to configure the apps. They each cost $24.99 and are well worth it! This app is very helpful for children and adults who have word retrieval challenges. The home screen presents four modes: Naming Practice, Describe, Naming Test, and Flashcards. In the upper right corner is the Settings button which will allow you to choose your desired number of trials, the email address to which you want results to be sent, and the Child-Friendly toggle button which takes out pictures that contain alcohol, violence, and adult themes. The upper left corner holds the Info button and contains the basic instructions the user needs in order to use the app. So far I find myself using the “naming practice” mode the most. This app includes over 400 high quality pictured nouns with a flexible cueing hierarchy and optional scoring. The nouns are divided into 10 categories and one or more can be selected for targeted practice. The voice output is a high quality male voice with a neutral accent in slow natural speech to facilitate comprehension. Scoring allows a therapist or partner to indicate when the word is correct or incorrect. The app records which cue was used to get the correct answers and produces a score report for email. This activity includes over 460 pictures with 4-6 question prompts, with each prompt programmed to be appropriate to the picture currently being shown. The Describe Mode offers questions based on semantic properties such as location, function, smell, color, texture, appearance, shape, size, person, time, sound, taste, sound, category, and association. I find that I am using Comprehension TherAppy daily with adults and children who have aphasia, auditory processing issues and a variety of attention and cognitive challenges. The pictures and voice are very high quality and there are many ways that this app can be configured to work toward goals. Many nouns are initially includes and expansion packs can be purchased with verbs and adjectives. 10 categories of nouns are available including animals, foods, objects, concepts, places, people, body parts and more. Specific categories can be selected. I look forward to new releases in the near future for Tactus Therapy Solutions. Writing TherAppy will soon be available. To learn about other ways technology can be used to help adults or children who have a wide range of communication, cognitive, literacy and learning challenges – check out my website at www.innovativespeech.com, contact me at Joan@innovativespeech.com or buy my newest book titled The Ultimate Guide to Assistive Technology in Special Education which is full of info about computer software, iPad apps and other tools and strategies which are helpful for improving speaking, understanding, reading, writing and thinking for adults as well as children. I work with quite a few children and adults who have cognitive challenges or limb apraxia and have difficulty using a mouse. It’s very helpful for me if I can provide them with direct access using a touch screen , but a touch screen computer is not always available. The touch screen on the iDevices such as the iPad is wonderful, but sometimes I want to be working on software that only can be used on a Windows computer. The Splashtop Apple app which sells in the iTunes store for $1.99 can turn the iPad ( or iPhone of iPod Touch) into a touchscreen device for programs that run on a Windows based computer. It turns into a remote desktop. I can then have my clients touch the screen on my iPad while working on software to help with language and cognition. With the help of the Splashtop Apple app I can also watch Flash based videos and access my entire PC from my iPad or iTouch.